Find out more about Cheshire and Merseyside sustainability and transformation partnership (STP) including details of its population size, constituent organisations and priorities. positive effect on health and wellbeing and reduce reliance on services. 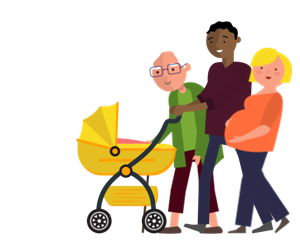 Working together with partners in local government and the voluntary sector to develop joined up models of care, outside of hospital, to give people the support they need in the right place, from the right professionals at the right time. Designing modern, high quality hospital services; reducing variation in quality and ensuring a clinical and financially sustainable hospital system. Becoming more efficient by reducing costs in corporate services and maximising the efficiency of clinical support services. The following organisations are part of Cheshire and Merseyside Health and Care Partnership. For individual contact details for these organisations, please see the NHS website.